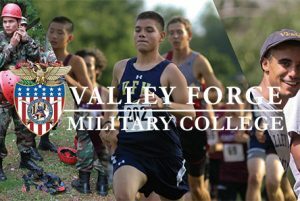 Music at Valley Forge Military Academy and College has been, and always will be, one of the top-tiered extracurricular programs we offer. Our Music Department incorporates the five cornerstones from the institution’s mission statement into the philosophy of music. Our Music Department incorporates the five cornerstones from the institution’s mission statement into the philosophy of music. Cadets involved in the music program range from ages 14 to 21 and receive an excellent education both musically and academically. Each elite musical unit has a particular focus, with an international reputation to match. The Regimental Band has made appearances in inaugural parades of U.S. Presidents and has historically performed at the inaugurals of Pennsylvania governors since Valley Forge Military Academy and College’s founding in 1928. The Band has also presented a concert at a formal White House dinner and appeared with the famed Philadelphia Orchestra at the Academy of Music in Philadelphia and the Kennedy Center in Washington, DC. They have also performed with the Philadelphia Pops Orchestra. The Band maintains a busy schedule, playing daily for the Corps formations, as well as for regimental reviews, parades in the fall and spring, three formal concerts on campus, the annual Military Tattoo, and many outside concerts and parades for civic and charitable organizations. Special engagements include the annual performance at the Pennsylvania National Horse Show in Harrisburg and the Devon Horse Show, appearances with the Philadelphia Phillies, numerous appearances at the Philadelphia Museum of Art, the National Constitution Center, and Philadelphia’s Union League. The Regimental Choir is open to all cadets who enjoy making music and wish to broaden their educational experience. The Regimental Choir have performed the National Anthem for a Philadelphia Phillies baseball game (with more than 45,000 screaming fans in attendance!) and have participated in the London International Choral Festival, to which they were invited by Lord Roger Bramble, Deputy Lord Lieutenant to Her Majesty Queen Elizabeth II. The group has a prestigious performance history, including venues like the White House, the Pentagon, the Lincoln Center for the Performing Arts in New York City, and the Academy of Music where they performed with the Philadelphia Orchestra. In their spare time, the Regimental Choir provides music for Valley Forge Military Academy and College’s annual Military Tattoo in November, the Holiday Concert in December, and the Spring Concert in May. They also perform at Sunday services in the Alumni Memorial Chapel of St. Cornelius the Centurion on the Valley Forge campus. Members of the Regimental Band, the heraldic trumpets produce a majestic fanfare tone of varying pitches. The band members behind these magnificent instruments are on call to perform for Presidents, Supreme Court Justices and Governors on a regular basis. These trumpeters routinely perform prior to on-campus Chapel services throughout the school year, and they provide regal significance to special school functions such as military “dining-ins” and the opening of new facilities. These trumpets were introduced at the Valley Forge Military Academy and College in 1953 by Colonel D. Keith Feltham, Valley Forge’s Director of Music from 1949 to 1976. The late LT General Milton G. Baker, founder and former superintendent of VFMAC, presented the eight original fanfare instruments to the school’s Regimental Band more than 40 years ago. In 1965, the Pennsylvania National Horse Show Association presented an additional three trumpets after the Band had made its 18th consecutive performance at the annual show in Harrisburg. In 1989, the Presser Foundation, located in Bryn Mawr, PA, funded the purchase of eight additional fanfare trumpets. Today the collection consists of the full complement of voices, which consists of six B-flat soprano trumpets, six B-flat tenor trumpets, two G-bass trumpets, and two E-flat soprano trumpets. Valley Forge upholds the traditions of Field Music, which is older than American patriotism. Throughout history, soldiers have used music to communicate with one another. 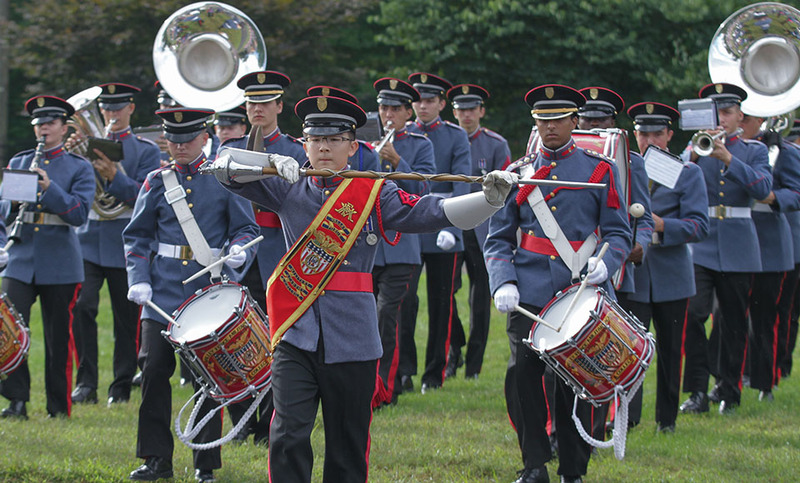 At Valley Forge, Field Music has inherited the traditions of Drum and Bugle Corps. The oldest elements are found in drum beats, with certain rhythmic patterns signifying a particular command. Later, with the introduction of brass instruments, especially the trumpet and bugle, more precise communiques could be delivered… It is the bugle that tells the soldier to get up in the morning, to “charge” into battle, or to lower the colors. At a day’s end, it is the familiar sound of Taps that tells the soldier his day is done. The school’s Field Music group has made numerous appearances throughout Pennsylvania and New Jersey, and has served as the official honor guard for the city of Philadelphia in the welcoming of visiting leaders and dignitaries. Field Music plays regularly for parades and formations both on- and off-campus. With Field Music, cadets are able to become competent musicians within a short period of time and contribute their talents to this gifted unit.